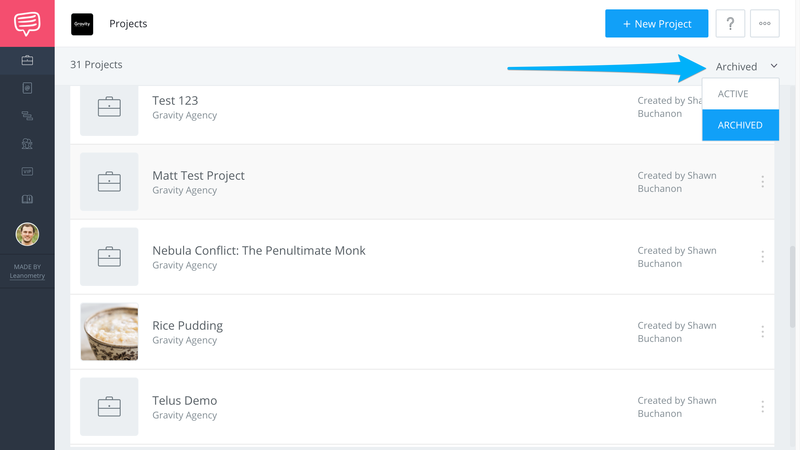 Learn how to move an Active Project to your Inactive Project list. 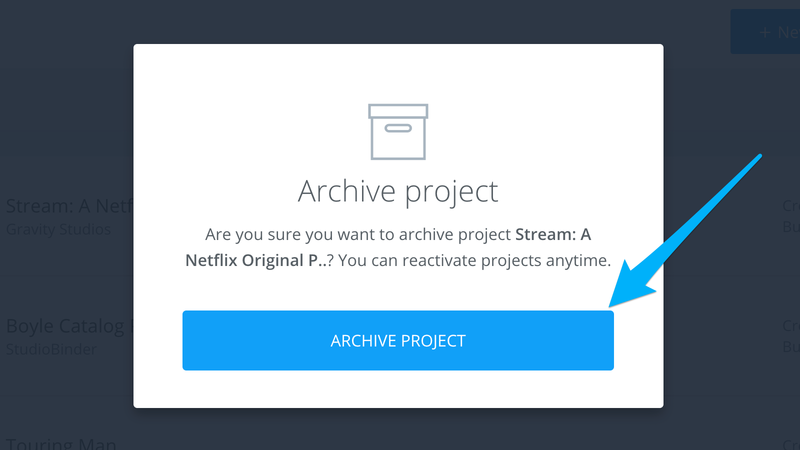 When you have finished a Project you avoid permanently removing it by moving it to your Project Archive. However, Archived Projects still add to the number of total projects. Follow this guide to learn more. Click the More Icon (⋮) next to you project, then click Archive Project. Confirm you want to archive the project, the click Archive Project. 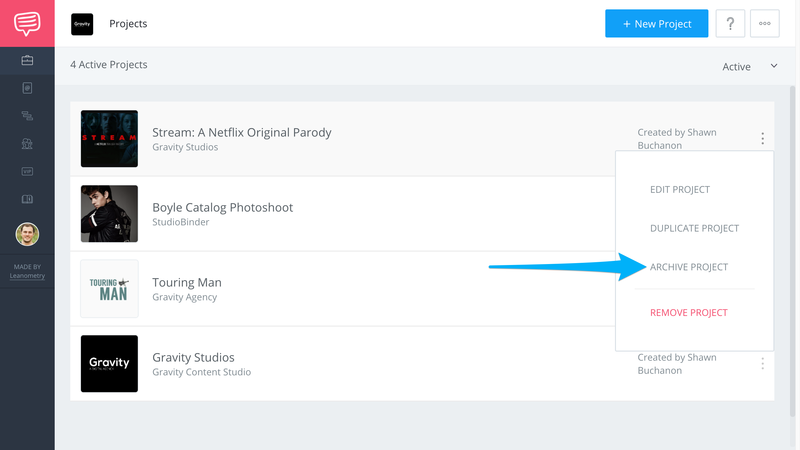 On your Projects page, click the Project List Dropdown to view your archive.